To unlock this Easter egg, just go to Settings -> About Device and scroll down to the Build Number. Voilà! 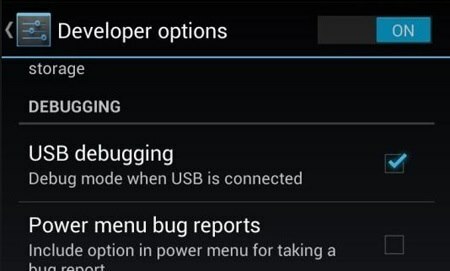 Back out of the About Device menu and you’ll see Dev options back where it belongs, so you can turn on USB debugging and whatever else you want to. If you updated to Android 4.2 on your old Samsung Galaxy S3 or other Android device, this is probably nothing new. If this is your first go on the new Jelly Bean or KitKat version, well…now you know..